Click View > Entities to show and focus the Entities view. 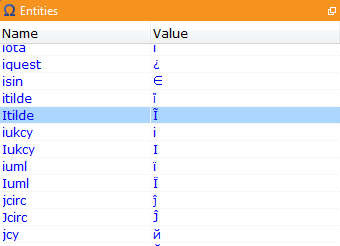 The Entities view displays a list with all entities and their values as declared in the active document as well as built-in ones. Double clicking on an entity will insert it at the current cursor position in the active document.